So yesterday’s Musical Monday post was preempted. 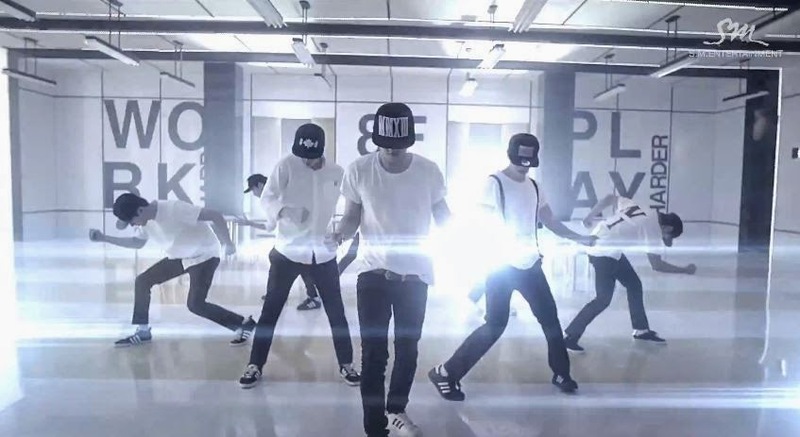 But Super Junior, or in this case, the sub group Super Junior M, will not be kept down for long. Originally I wasn’t that interested in Super Junior M–I don’t really pay that much attention to Kpop groups sub groups. I have a hard enough time keeping up with the main groups. And there’s also the fact that I actually forget how much I really like Super Junior. If I were honest, while BigBang may have my heart, I actually like the backlog of Super Junior more. The thing that got me to sit up and pay attention to the new release of Super Junior M is the realization that Eunhyuk a member. Eunhyuk! Eunhyuk! 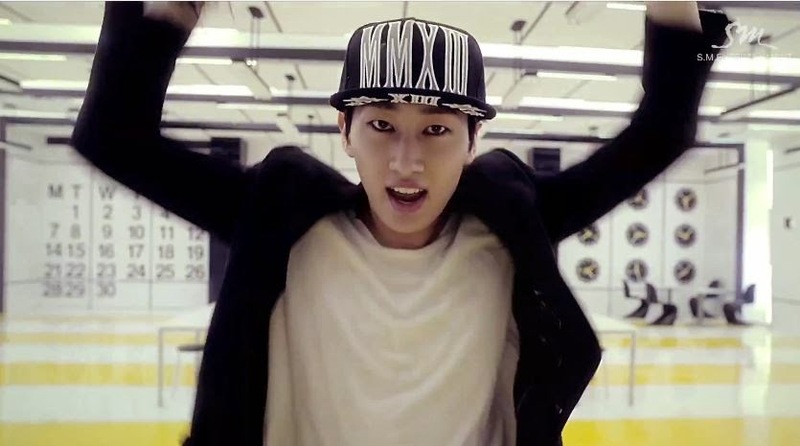 Yay, Eunhyuk! Well, Eunhyuk, Donghae and Siwon. Which means Super Junior M has a whole lotta reason for me to watch. I’m actually pretty surprised that Eunhyuk and Donghae are coming out with new music. Didn’t they just come out with their last subgroup album like 3 minutes ago? How could they already be done promoting that? And to go right from promoting that to promotions for this? Eunhyuk must be very, very tired. Although on the other hand, having Eunhyuk, and of course, Super Junior being so active lately, makes me feel better, because it had been so long, that it seemed like SM had forgotten about them. Or, with all the furor over EXO, replaced them. But they are back! And with so many members in the full group, I’m going to be honest and say, I don’t even realize that some of them are missing. Except Shin-Dong. 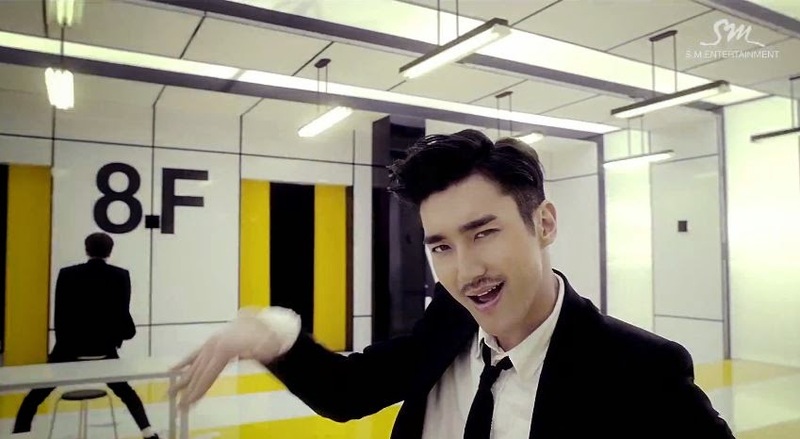 Watching this, I’m struck by just how handsome and striking Siwon is–sometimes I forget. I was really glad to see him as a member of this sub group as with his acting turn lately, you don’t see him much with the band at all. It’s nice to see him remember his roots. I did have to laugh at the video and the apperance of his weird facial hair during the fantasy sequence. Add that to his apperance in drag in the Motorcycle video, I love how playful he is with his image. And is it me or has he gotten smaller? Usually he looks–bigger. I wonder if he’s working on a project. It was also a surprise to see him not take an A role in this song/video. He had a few lines and posturings but mostly he was hanging out in the back of the line. I didn’t love the song at first, but have come to like it more and more with additional watchings. Which I realize is my way with Super Junior. At first it’s “Eh, okay,” then “Not bad,” to “Pretty good,” to finally, “What was I thinking? This is great!”. I especially liked the breakdown into the rap section part way through. The one thing I don’t care about Super Junior videos (I don’t especially notice it too much in the songs themselves) is how it’s so obvious they all take turns singing and spend very little time singing together as an actual group. I don’t know why it’s distracting to me, but there it is. I saw this cd in the store the other day and almost bought it without hearing it. But I like swing music and the cover looked good (I’m so shallow). And I’m not even a SuJu fan.